July 26, 2016 - "Press Releases"
The system will be used for testing drivetrain components for light vehicles, as well as small- and mid-size trucks at a major global powertrain manufacturer’s technical center in Beijing. SAKOR Technologies Inc., a supplier of high-performance dynamometer systems, has provided a large dual-dynamometer system to a major global powertrain manufacturer’s technical center in Beijing. The system will be used for testing drivetrain components for light vehicles, as well as small- and mid-size trucks. The dual-dynamometer system consists of two 224 kW AccuDyne AC motoring dynamometers and features SAKOR’s DynoLAB test automation controller. AccuDyne dynamometers offer full four-quadrant operation with seamless transition between loading and motoring modes, and are therefore ideal for testing transmissions, transfer cases, clutches and other powertrain components. “This dual-dynamometer testing system offers our customer flexibility and reliability for their powertrain component testing. The system is capable of operating and testing a wide range of products, from the manually-shifted components of previous generations through modern components controlled by CAN bus technology,” said Randal Beattie, president of SAKOR. The system is capable of producing up to 2,500 N-m of continuous torque (3,750 N-m transient) and reaching 6,000 RPM. It is fully automated by SAKOR’s DynoLAB test automation controller, which offers complete automation of all types of test procedures used in performance, durability and quality control testing. SAKOR has previously provided one nearly identical system to this customer’s U.S. Technical Center. 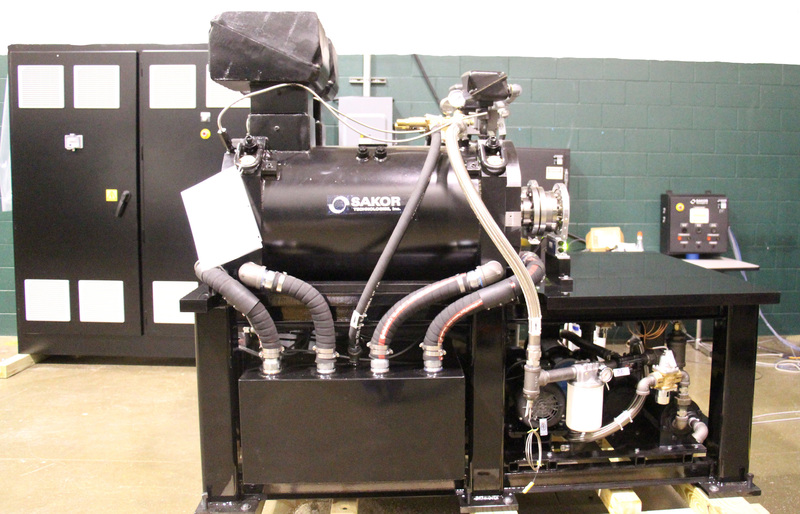 In addition, SAKOR has designed and provided several other smaller powertrain test systems to the customer’s facilities over the past 15 years.